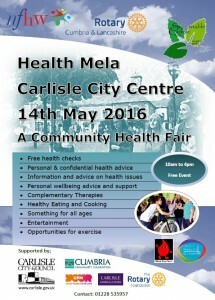 Carlisle Ambassadors are delighted to be associated with the Community Carlisle Health Mela. The event will be open to the public between 10am and 4pm, and will be formally opened by the Mayor of Carlisle at 10.15am. 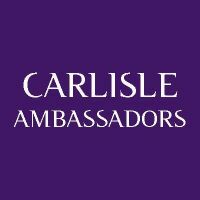 This is a Rotary led initiative, supported by many energetic and passionate members of Carlisle Ambassadors. The Community Carlisle Health Mela is a fun filled festival with entertainment and activities, and provides an opportunity for people in the community to have a health "MOT" at the Assembly Rooms in the Old Town Hall. Visitors to the City Centre will find a series of “Streets” lined by stalls packed with information and advice on how to keep healthy or deal with existing health issues. During the day as well as the stalls there will be a series of activities which the general public can take part in or be entertained by. We will have Laughter Therapy sessions, Aerobic Exercise demonstrations, singers, and a few surprises. Something to entertain every half an hour all introduced and linked together by the team from CFM Radio.